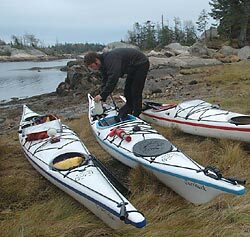 No matter how benign or turbulent the conditions, paddlers must always be prepared with the right gear. 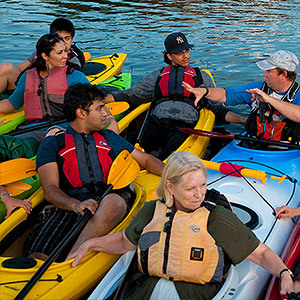 Based on the decades of paddling experience our guides possess, Charles River Canoe & Kayak has assembled the recommended kayaking gear list below. We also have a printer-friendly version. The list is divided into three sections based upon the exposure of the water on which you’ll be paddling and, therefore, the potential for hazardous wind and wave conditions. Make sure you understand the environment in which you are paddling. Learn the skills required to paddle there, and practice them consistently. 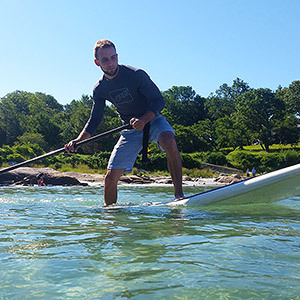 Our paddling classes and trips will get you started and keep your skills sharp. Carrying this gear is not enough! 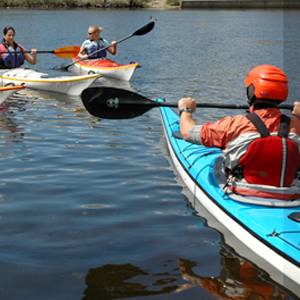 Learn to use your kayak and gear. 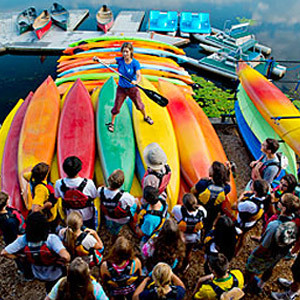 Learn about the environments in which you want to paddle. Practice using your boat and gear in realistic conditions. Our classes and trips can get you started and keep you sharp. It may not be necessary to keep all these items immediately available. 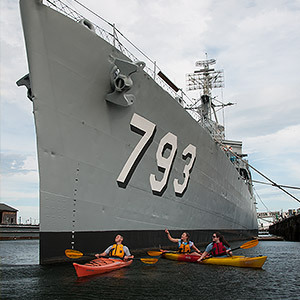 For example, it’s fine to keep your splash jacket stowed in a hatch on a flat-calm, sunny day on the Charles. If rain moves in or you capsize and get cold, you’ll be glad you brought it. 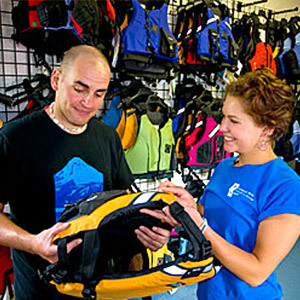 However, there are some items you should never, ever stow in a hatch — including your Personal Flotation Device! 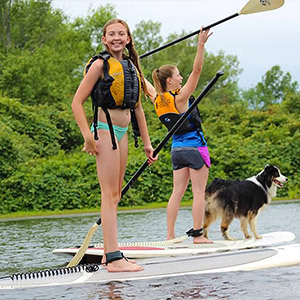 The Paddling Store at Charles River Canoe & Kayak stocks most of the items on our gear list, and we are happy to help you select the right gear or answer any questions. Just drop in or e-mail us, because we’re here to help! Signal Flares – flares, mirror, smoke signals, etc.